Kayaking: Sunglasses: Ray Ban. Paddle-boarding: Bathing Suits: Target (similar), Forever 21, Victoria's Secret (similar); Sunglasses: Ray Ban. Jet-Skiing: Sunglasses: Ray Ban, Michael Kors. Anyone who knows me, knows that my athleticism is embarrassingly low & my coordination isn't that great either. I walk into or trip over things on a daily basis. 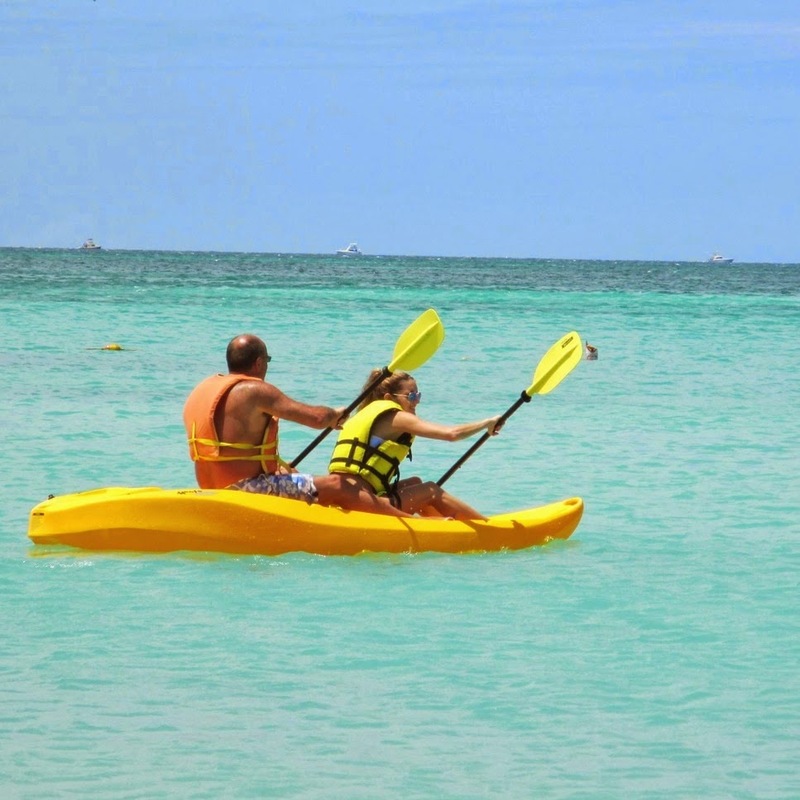 So, it is with great pride that I show off these pictures of my family's water adventures while on vacation in Aruba. Rather than explore the island, we spent time adventuring & trying out some new activities on the water. I really enjoyed kayaking & by the end of our allotted time, my dad & I had really gotten into a rhythm. My sister took on paddle-boarding & I have to give her credit; for her first time out there, she was amazing! Our last minute decision to rent a jet-ski was great, but maneuvering those machines is a lot harder than it seems. It was definitely an activity that I'm glad I experienced, but I would think twice before jumping on a jet-ski again.